&Oslash; What is the embroider y area of the HO1501 computer embroidery machine9 The embroidery area is 360*510 mm. 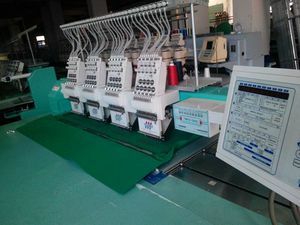 &Oslash; Which kind of computer embroidery machines will I need9 We suggest beginners choose the best type one head embroidery machine for starting. 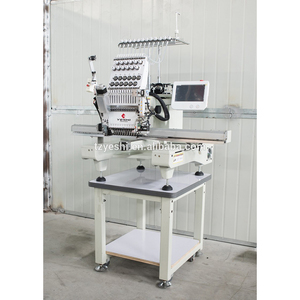 &Oslash; What kind of warranty comes with my computer embroidery machine9 We provide 2 years warranty to our embroidery machine. 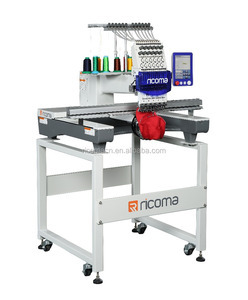 Industrial used computerized embroidery machine 1 head for home embroidery or business Head single head Needles: 12/15 Application Cap, t-shirt, flat etc. 15. Dual USB port for design transfer&support mouse and touch screen operation 16. Support remote control like design management and machine maintenance 17. Support WIFI and wired Ethernet. During this period, if there is any problem about the machine, we'll send the spare parts to you for free and guide you how to solve the problem. 4 YRS RiCOMA (Shenzhen) Co., Ltd.
Q1. What is your terms of packing9 A: Generally, we pack our goods in neutral brown cartons or wooden case. Generally, it will take 1 to 15 days after receiving your advance payment. We'll show you the photos of the products and packages before you pay the balance. 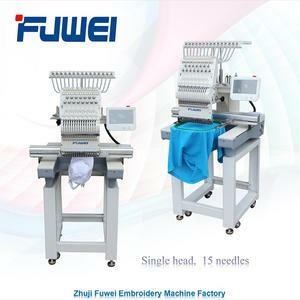 13 YRS Zhuji Fushun Sewing Equipment Co., Ltd.
4 YRS Zhuji Oulifu Import & Export Co., Ltd.
New Construction Centralized hooking system: more reasonable thread hooking,add the stability and lifespan of the machine. Power protection function: when the power suddenly loses, the machine can automatically search suspended state when the power failure and continue embroidering restart. Feature: Rotation type detecting disconnection device At high speeds can also be detected in the upper and lower breakage. *24 hours online service each day,free technical support with different languages. * If customer request, we can send engineer to your factory for installation. Customer need afford the tickets,accommodation and negineer's salary. 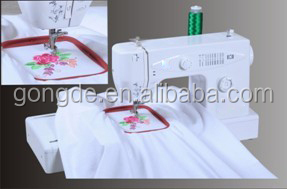 14 YRS Zhejiang Zhaoshan Electrical Machinery Co., Ltd.
Alibaba.com offers 77,870 machine embroidery products. About 29% of these are embroidery machines, 3% are thread, and 3% are bedding set. 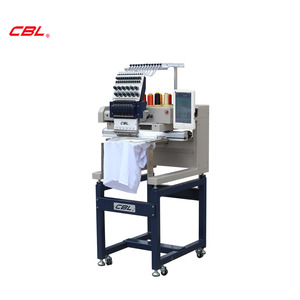 A wide variety of machine embroidery options are available to you, such as sequin embroidery machine, cap embroidery machine, and taping embroidery machine. You can also choose from single head, 12 heads, and 2 heads. As well as from computerized, manual. And whether machine embroidery is free samples, or paid samples. There are 77,870 machine embroidery suppliers, mainly located in Asia. The top supplying country is China (Mainland), which supply 100% of machine embroidery respectively. Machine embroidery products are most popular in North America, Africa, and Western Europe. You can ensure product safety by selecting from certified suppliers, including 16,621 with Other, 13,032 with ISO9001, and 3,193 with ISO14001 certification.